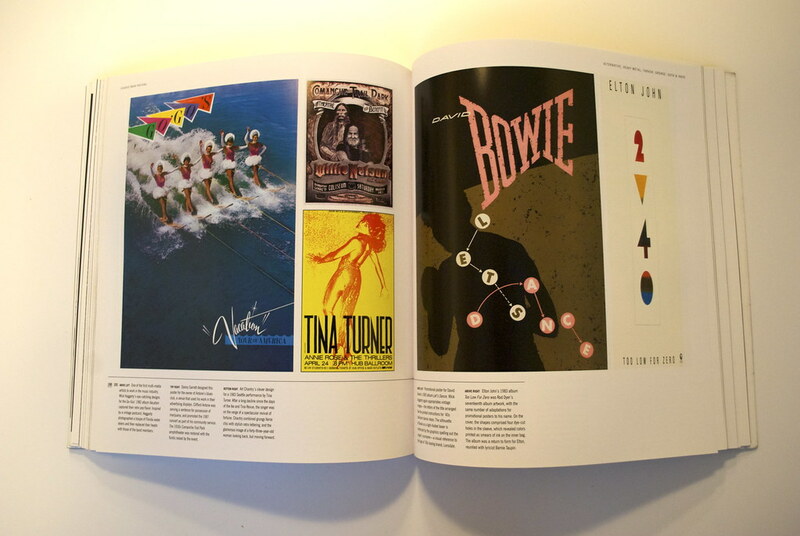 The book, a collaboration between the journalist and underground musician Mick Farren and graphic designer Dennis Loren, is a good all-round introduction to the history of rock posters, from Elvis to Elbow. The book is arranged chronologically, starting with the advent of rock and pop in America and Britain in the 1950s. 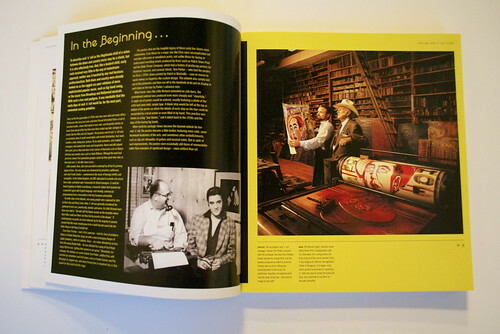 On occasion this section of the book reads more like a history of music than a history of poster-making. A candid photograph of Hatch Show Print’s HQ provides one of the book’s few visual insights into the actual production of posters. Subsequent chapters are jam-packed with posters that helped form the identity of some of rock’s superstars – such as The Who’s monochrome ‘Maximum R’n’B’ poster, produced for their residency at the Marquee Club in London in 1964-5. 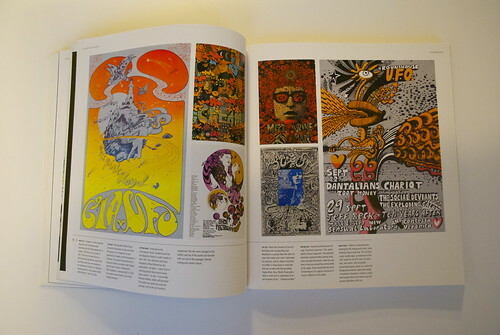 A whole chapter is dedicated to tripped-out 1960s psychedelic design from London to San Francisco, by designers such as Hapshash and the Coloured Coat (the pseudonym of the British duo Michael English and Nigel Waymouth). 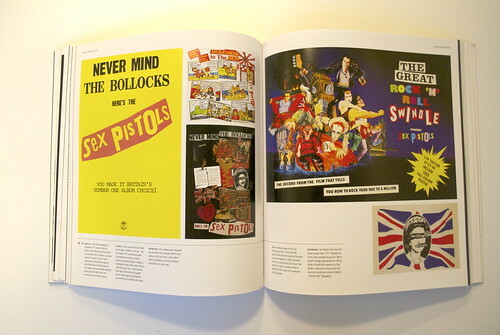 The book proceeds to the present day via chapters on ‘Mainstream, Prog Rock and Metal’, ‘Punk and New Wave’, ‘Hip-Hop and Dance’, and ‘Alternative, Heavy Metal, Thrash, Grunge, Goth and Indie’ – the design of the posters as varied as the music itself. References to crucial changes in music technology put the posters in a wider context, with the 1990s identified as a turning-point in poster design, as CDs and downloads began to take over from traditional LPs. From time to time the book seems to slip into the assumption that music blazes an experimental trail, while graphic design plods along behind: but the relationship is surely more dynamic and equal than that. 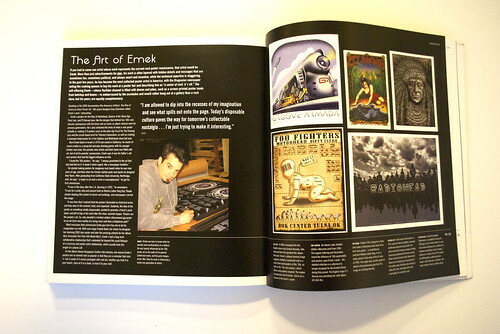 The final chapter, covering the noughties, includes an in-depth look at the work of the Israeli-Californian designer Emek, who has created posters for artists ranging from Groove Armada to Foo Fighters. He is confident that even in the digital age, the poster will thrive – that what bands say is ‘We want to belong to that pantheon of cool bands that had cool posters.’ This book contains some seriously cool posters.